Learning about keywords and how to do keyword research is one of the first things you need to do when starting out with Search Engine Optimization. Keywords and long-tail keywords are the foundation of SEO and understanding them is vital for being successful in your SEO efforts. Over the years the emphasis and use of keywords in SEO has changed. This is because search engines have become much more intelligent in the way they understand what people are searching for. They can now understand user intent from their search queries. This is called Semantic Search. This new understanding poses a fresh challenge to SEOs and forces us to look at keyword research in a different light than previously. It is now more important than ever to understand your audience so you can craft your message specifically for them. In this post I will answer the fundamental questions about keywords to help you understand them better and use them correctly in your SEO efforts. I have split this post into 4 main sections. How to do Keyword Research and Find the Right Long-tail Keywords for Your Post. How to use Keywords for SEO. Monitoring Keywords to Maintain a High Ranking. Keywords are the words and phrases within your content that make it possible for people to find your website via search engines. They reflect the primary topic and story in your writing. They are one of the basic elements of SEO and a good understanding of keywords is a must if you want your website to rank highly on a SERP. Keywords are important because they are the method you use to talk the same language as your customers. You need to know what your customer is looking for and how they are searching for it, only then can you tailor your content to meet their needs. Choosing the correct keywords is an important part of SEO. You want to make sure you target the correct keywords that will attract your desired audience. Targeting the wrong keywords can result in the traffic reaching your site but with a different need in mind. For example if you were were running a beauty website you may want to target the phrase “fix broken nails” – however if you are not careful you may end up attracting traffic that’s interested in DIY and looking for new tools! Keywords come in 2 forms know as short-tail and long-tail keywords. Long-tail keywords are those phrases which are 3 or more words in length. Long-tail phrases are an excellent way of targeting your traffic. 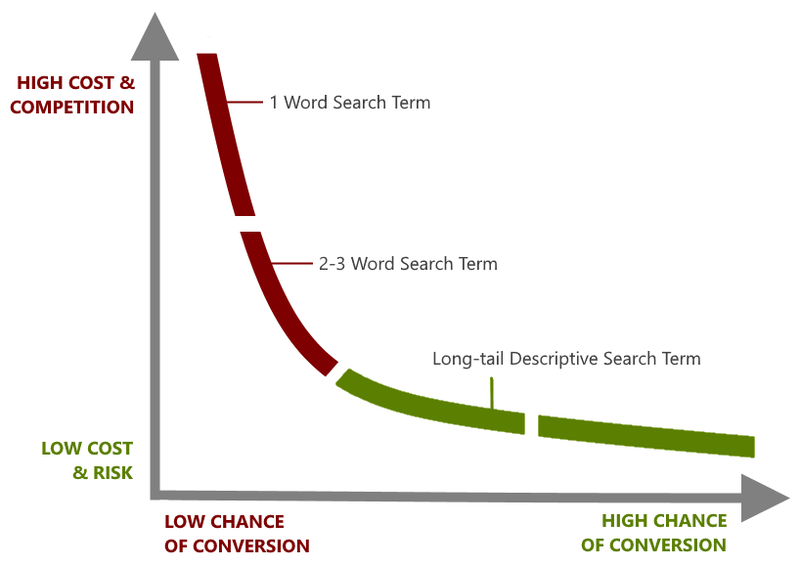 When a customer searches using a long-tail keyword they tend to have something very specific in mind they are looking for and are further along the buying journey. This means customers finding your website via a long-tail keyword are much more likely to convert than those who found your website via a very generic term. People coming to your website via generic terms are usually at the research stage. As you can see keywords play a very important part in your SEO and how well your pages will rank. Now you have an understanding of keywords lets take a look at how to do keyword research and decide on what keywords to target in our writing. I am sure it’s clear from the first section that long-tail keywords which define the users intent are much better to target than very broad short-tail keywords. The good news is that long-tail keywords are usually much easier to rank well for than their more generic counterparts. Lets expand on the beauty website example from above. 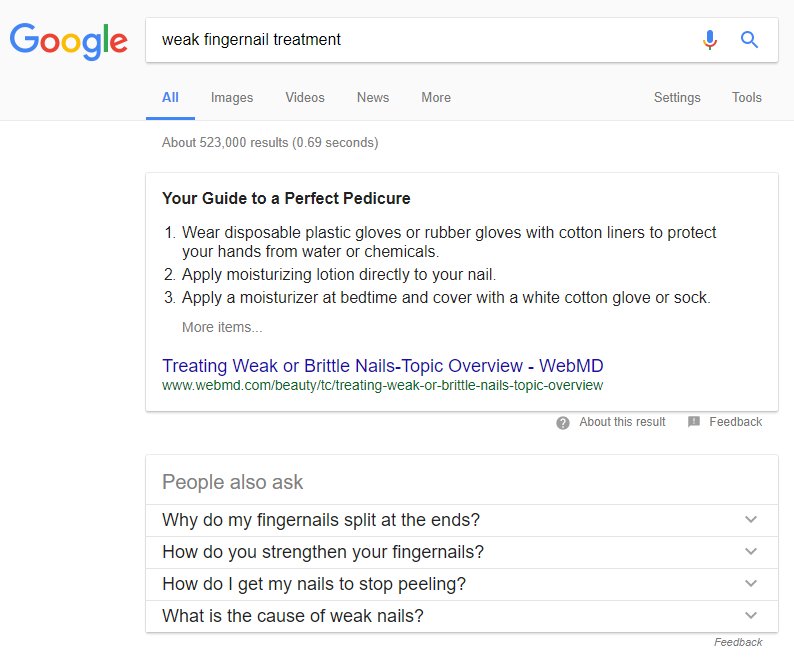 If we were selling a product to strengthen nails and we targeted the keyword strong nails we would have a very hard time ranking for this because we would be competing against websites such as Sephora and health.com. It’s very unlikely we would have much luck in the search rankings against these well established brands. Also this term is far to broad and any traffic we received for this search term is probably not far along the buying journey – if on it at all. Not to mention that this example would yield users interested in DIY again! Instead we should take a more targeted approach and pick keywords which are specific to the customers we want to attract. These are just some examples of long-tail keywords you could target for such a website. Once you start thinking about keywords in this way you will start to find many more. An obvious question you may be asking now is, “which long-tail keyword do I use?“. The answer is you should use them all. They are all referring to the same topic but having many pages focusing on different long-tail keywords gives more substance to your website and in the search engines eyes, this is good. Google likes to see website which offers lots of quality content to the user. These pages should be variations of your main page each focusing on one of your specific long-tail keywords. Each page should have a unique title and headings and you should rephrase the writing so you don’t get a duplicate content penalty. This may sound like a lot of work but once you get the hang of it you will be able to create these additional pages in next to no time. Of course as a beginner it’s sometimes not so easy to come up with good keywords and phrases. Luckily for us there are many tools available for us to use to give us a helping hand. Below is a list of some of the keyword research tools I use to help me come up with keyword ideas. SEMrush – This tool contains a goldmine of data and valuable information for your keyword research. You can simply enter your main topic keyword, knows as your seed word, into the SEMrush search box and hit ‘Start now’. You’ll be presented with a lot of information about your search term including a list of related terms and their popularity (Volume in the image below). 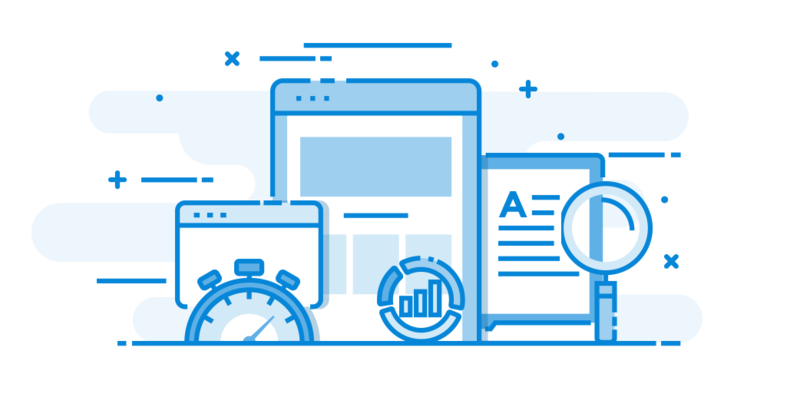 SEMrush is a premium service but you can sign up for a free account and do up to 10 searches per day which is good enough to get you started. Google Keyword Planner – The Google Keyword Planner is a free tool though you do need an active AdWords Account to access it. Enter your seed word keywords into the box titled “Your product of service” and hit “Get ideas”. 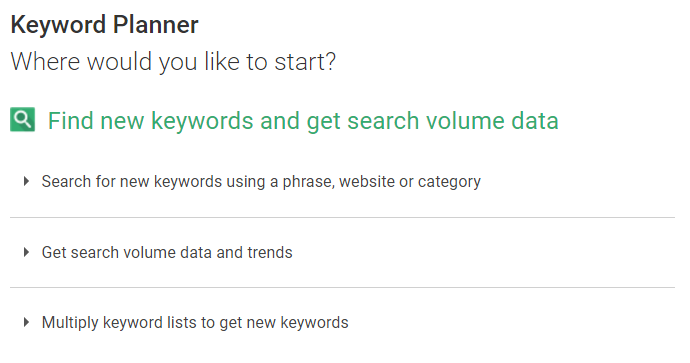 Google Keyword Planner will return to you a list of related keywords and phrases. 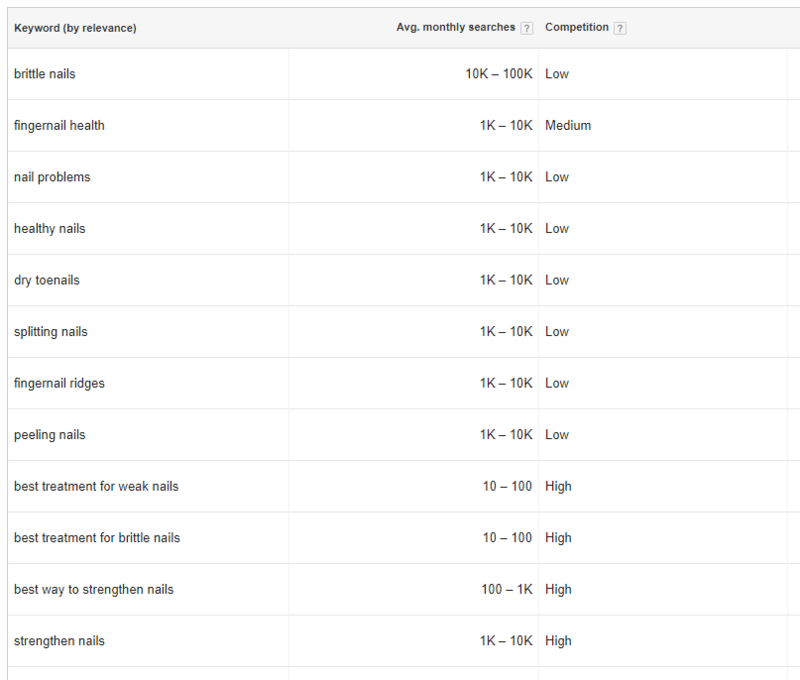 You will also see additional data on each keyword stating the average number of monthly searches their competition. Ideally you should be targeting keywords with over 1K average monthly searches. Wordtracker – This is another premium service for doing keyword research. Simply enter your seed keyword into the search box and hit “Search”. You will be taken to the results screen showing you a list of related keywords and suggestions and their search volume. Google Results Page “People also ask” Box – This is not a tool per se but the “People also ask” box that’s shown on the Google Results page is a great way to find long-tail keywords. Take a look at the example below. Google is automatically suggesting other terms people are searching for related to my main keyword. You can also click on the terms and perform another Google search, this will lead to another “People also ask” box with additional variations on your topic. As you can see each of the tools above return related keyword ideas along with some additional information. From the list look for the most relevant keywords which are showing a high search volume and containing at least 4 words or more. Simply put users who search using long-tail keywords are much more likely to be a qualified customer than users who search using single less descriptive search terms. Now we have a list of long-tail keyword ideas we need to use them correctly in our content. At this point we want to start thinking about the users intent when they are performing their search. If we can understand their intent we can tailor our content to their needs much better and craft our long-tail keywords around that. A long-tail keyword that addresses the need of the customer or solve their problem is much more likely to rank well in Google and other search engines. Usually when someone searches for something online they fall into 2 categories. They are either looking for information or they are looking to make a purchase. These 2 categories are clearly defined in the buying journey of a user. Initial Consideration: The customer first makes a consideration of purchase. They look at a broad range of information related to the item they want to buy. Active Evaluation: The customer has chosen to buy and will now evaluate the pros and cons of a given product by doing more in-depth research. Moment of Purchase: The customer has decided to buy and now seeks a place to make the purchase online. Post-Purchase Experience: Once a purchase has been made the customers experience during this buying journey will help inform them for their next purchase. As you can see we want to focus our attention no the customer who is at step 3. They have performed all their research and have made the decision to buy. These are the users we want to target. How to Attract Customers Who are Ready to Buy? We need to focus our long-tail keywords with other phrases which allow us to target the users intent. Below is an example of phrases which show an intent to purchase along with a long-tail version. Commercial phrases usually contain certain words either before or after the item being searched for. Here is a list of ‘buy‘ keywords to keep in mind when you are creating your long-tail keyword phrases. When we are adding keywords to our content we want to keep a mixture of commercial and informational phrases. 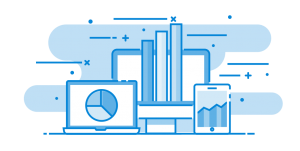 We want to make sure our site also attracts users who are seeing information and that we can provide them the information they need. This way we can hopefully turn a user who is at step 2 in the buying journey into a customer at step 3. It’s important not to ‘stuff’ your keywords into your writing where they don’t belong. You want to make sure your writing flows naturally. If you want to include a keyword but it does not fit naturally into the content then rewrite the content to make it fit. If you want to know the keys to writing a great blog post take a look at my how to write awesome blog posts post! You’ve put a lot of hard work so far into your keyword research and understanding your audience. To crafting quality content around your long-tail keywords. It will all be pointless if you can’t measure all that hard work in some way. I am a massive fan of data analytics. Analyzing data can tell you so much about your website, your traffic and your customers. If you are not analyzing your website data and performance then I am afraid to say you are not going to be successful online. Performing website analytics is a must if you want to be successful online. Luckily there are several tools available to help us monitor the keywords our pages are ranking for. Below are some free keyword tracking tools you can use to monitor your keyword performance. Usually free keyword tracking tools come with limited features and require a more manual approach to your keyword tracking. However if you are on a budget these keyword tracking tools are still very useful. You should have a much better understanding of keywords and their important for SEO. You can use the tools mentioned to perform keyword research and find the right keywords for your post. Once you have published your post you can use the tools to monitor your keyword rankings and make sure your keywords are performing as needed. If you use any other keyword research tool or keyword monitoring tool which works well for you, let everyone know via the comments section below.